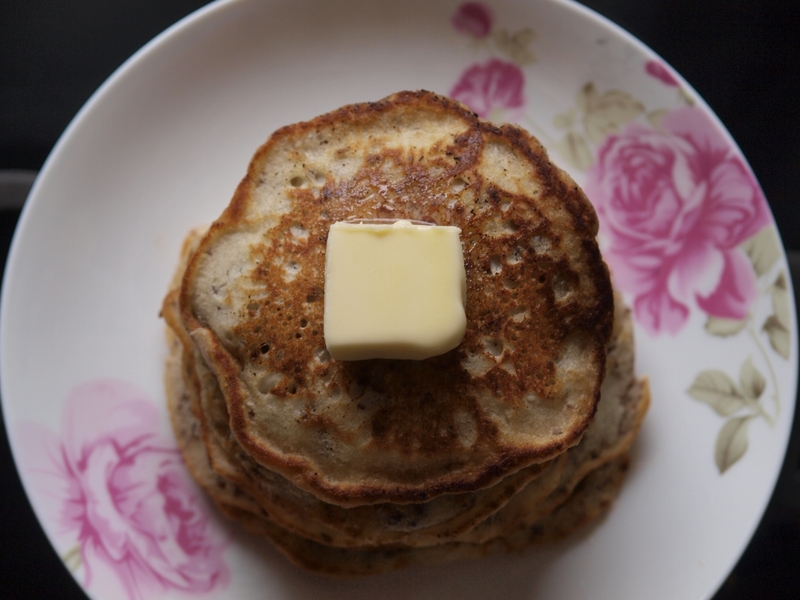 I posted this recipe for vegan pancakes awhile back when I had removed all dairy from my diet while nursing Anna because of a dietary restriction. 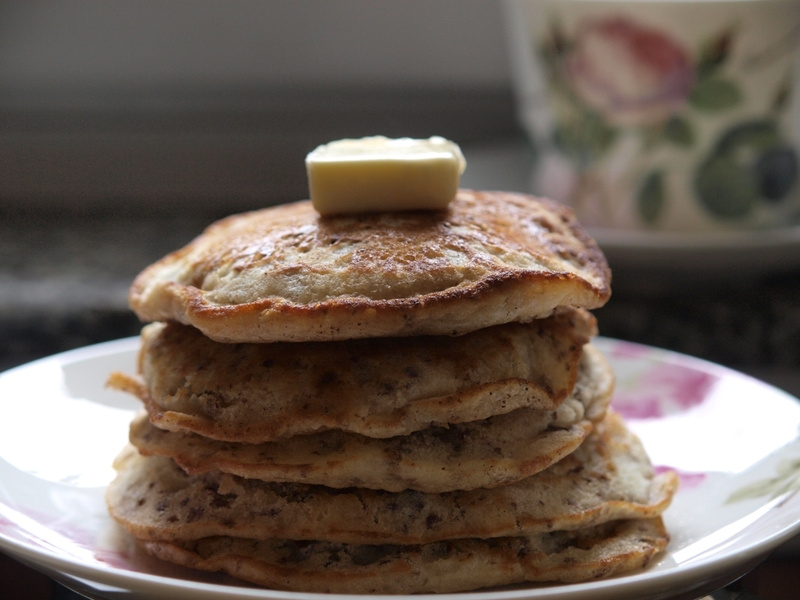 I no longer avoid dairy products, thank goodness, and in fact I tend to embrace them, but as far as pancakes go, vegan or not, these pancakes are amazing. 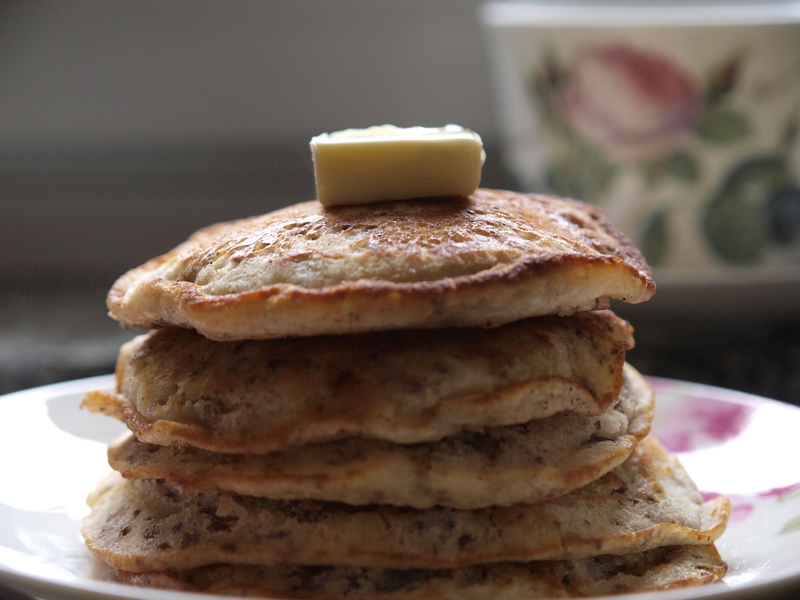 I have made them every week now as a treat for us in the mornings on the weekend this past month and am loving their tasty, fluffy goodness, with or without maple syrup, and the fact that I don’t feel heavy and bogged down after eating them. 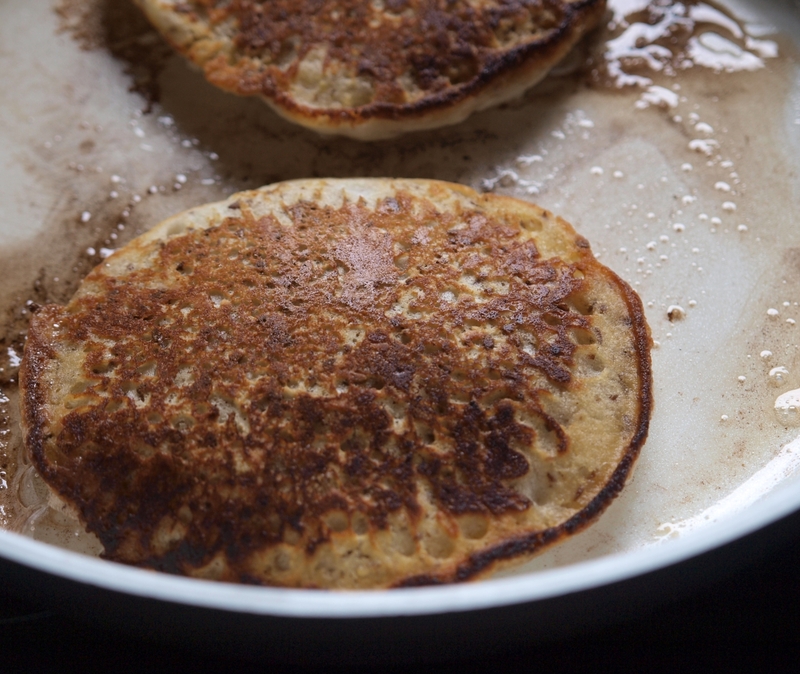 This is probably also the easiest pancake recipe that I’ve ever made. 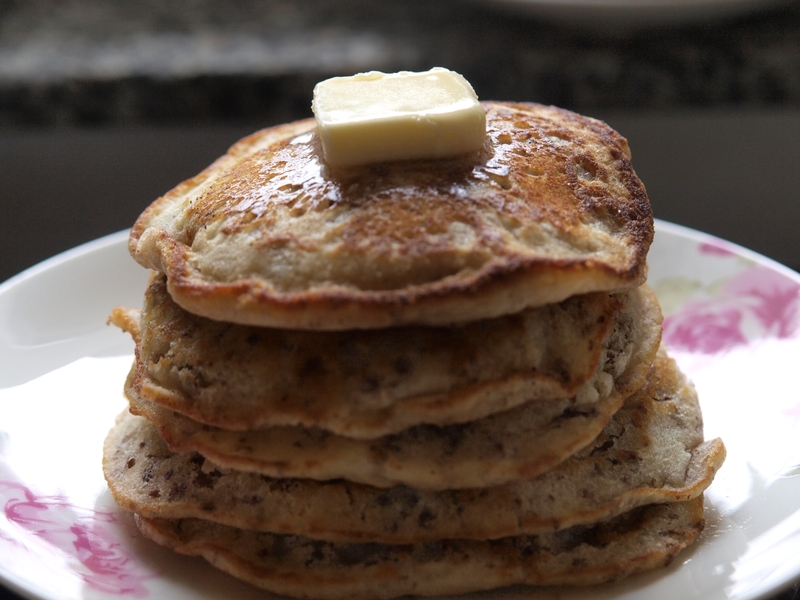 One reader had suggested (and that is what restarted my love affair with these) that I try chia seeds in the batter instead of flax seeds and I did. They came out very pretty, looking like a slice of dragon fruit but my favorite is still the standard version with flax seed. 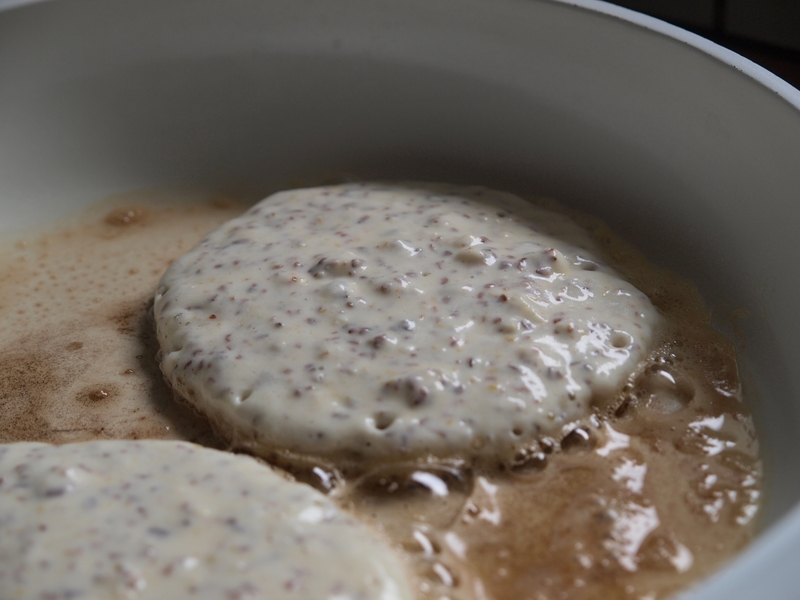 I now use regular milk in place of soy in the recipe but you can revert to the vegan version if you like. Heat a frying pan over medium-high heat. Whisk together the dry ingredients in a large mixing bowl until well combined. 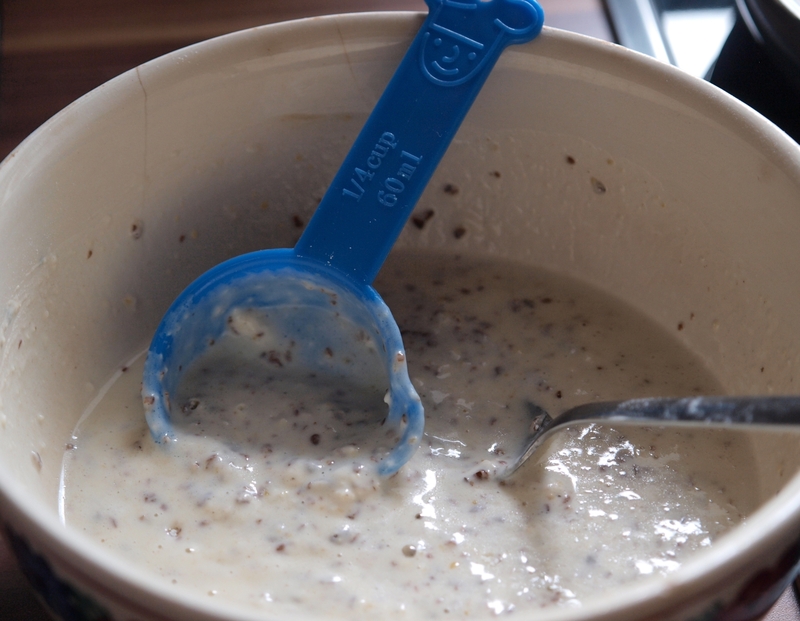 Add the oil and milk and mix into the dry ingredients until just combined (don’t over mix). 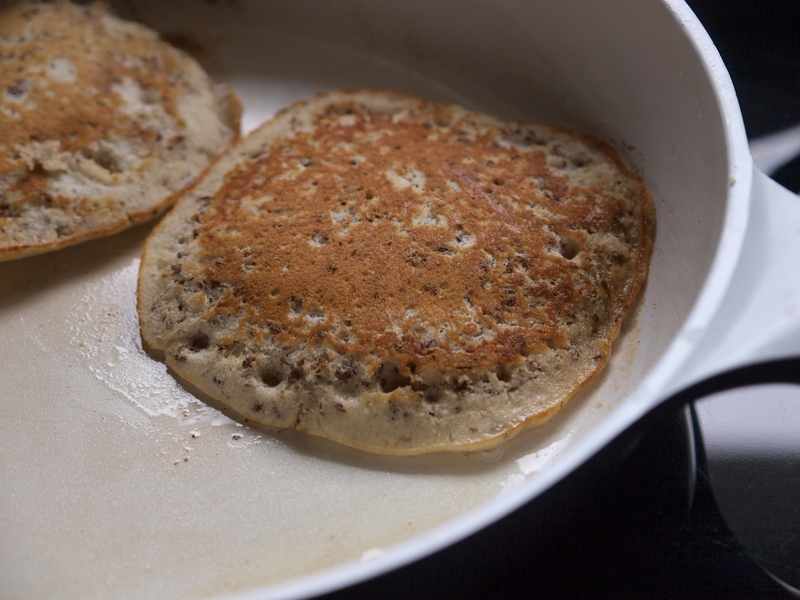 Butter or oil the pan and ladle a 1/4 cup of the batter onto the hot pan (I cook two at a time). Flip once they start to bubble on top and turn brown. 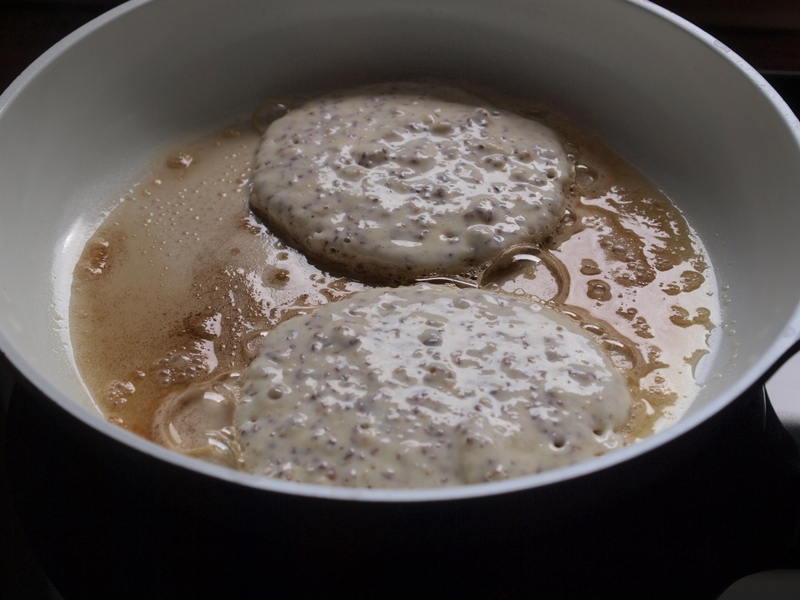 Cook for another minute or two on the other side and serve hot with melted butter or maple syrup. This time of year when looking for Irish food to help commemorate St. Patrick’s Day I usually turn to my favorite soda bread recipe. I wanted to make something a little different this year though. 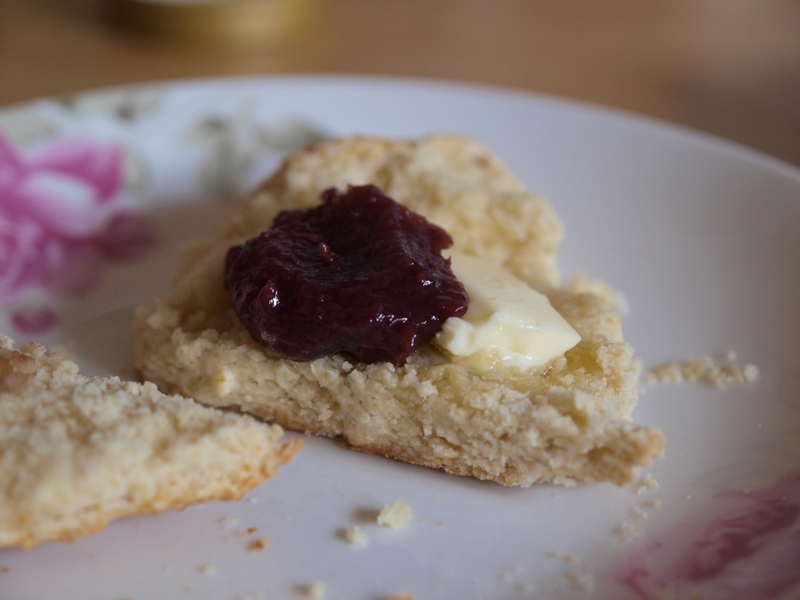 I’m not sure that these scones are truly Irish but when scoping out a recipe for Irish scones they all differed so wildly and at the same time were very similar to other scone recipes I’ve seen that it seemed hard to determine what makes a scone Irish, British, American or otherwise. Every recipe I saw did include these basic ingredients though: flour, a levening agent like baking powder or soda, butter and milk/buttermilk. 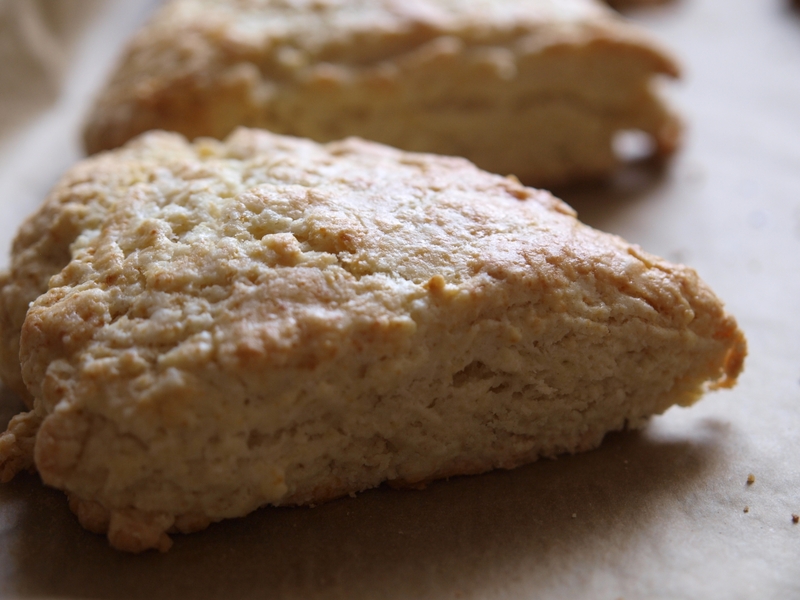 I used a conglomerate of these ideas to form these scones and opted in the end to use heavy cream (which adds to their rich, flaky and buttery texture) rather than milk, as I had an open container in my fridge that needed to be used up. 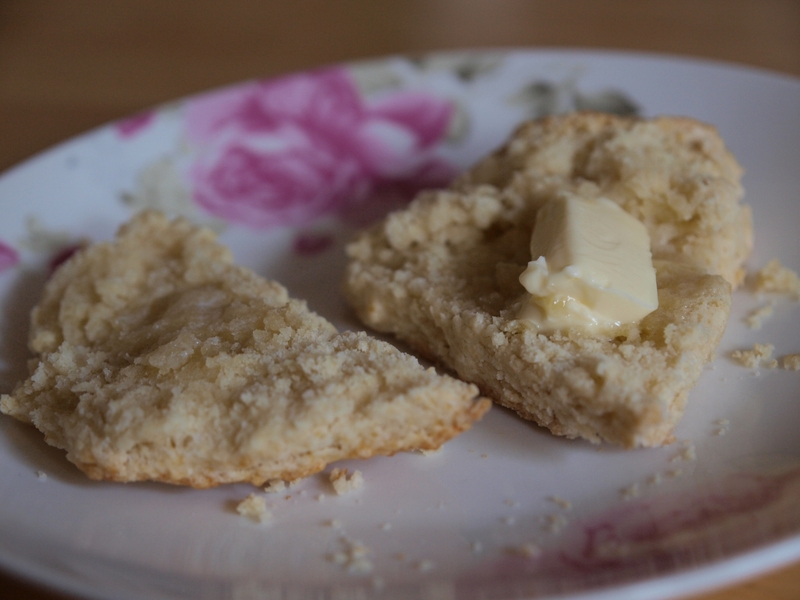 If you are using Irish butter like Kerrygold to make these perhaps they can be considered truly Irish after all! Happy St. Patrick’s Day, everyone! Preheat the oven to 200°C (400°F). 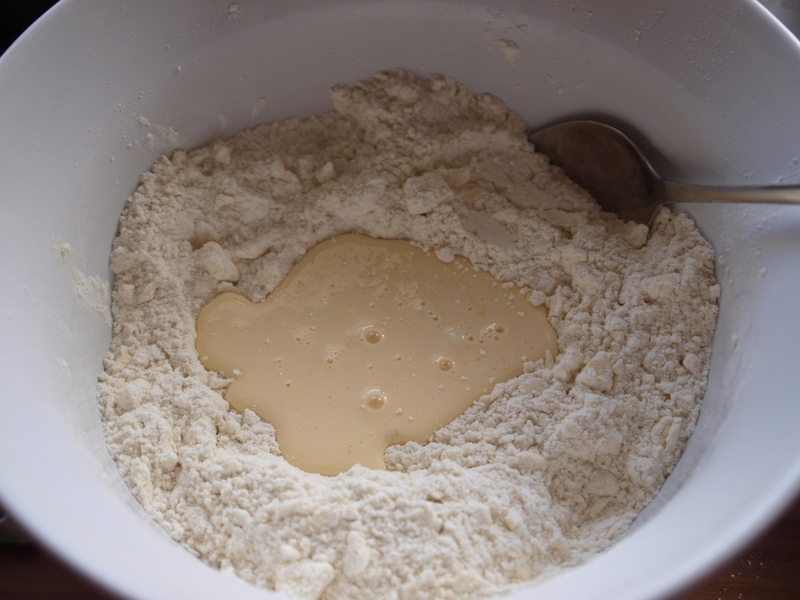 In a large bowl combine the flour, sugar, baking powder and salt and mix together well. 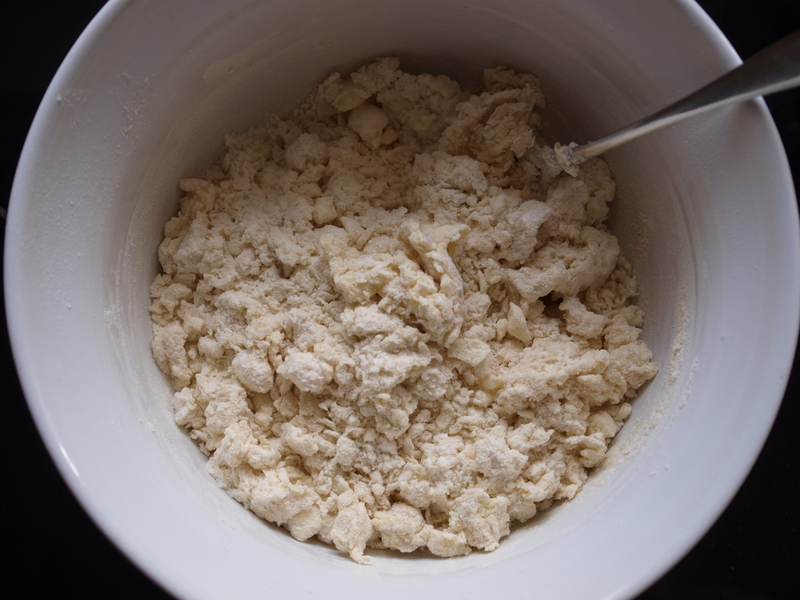 Cut the cold butter into tablespoon sized pieces and add to the flour mixture. With a pastry cutter, two knives or your fingers work the butter into the flour mixture until pieces no larger than the size of small peas remain. In a small bowl whisk the egg with 1/3 of a cup of heavy cream. Add to the crumble and mix gently with a spoon to combine. 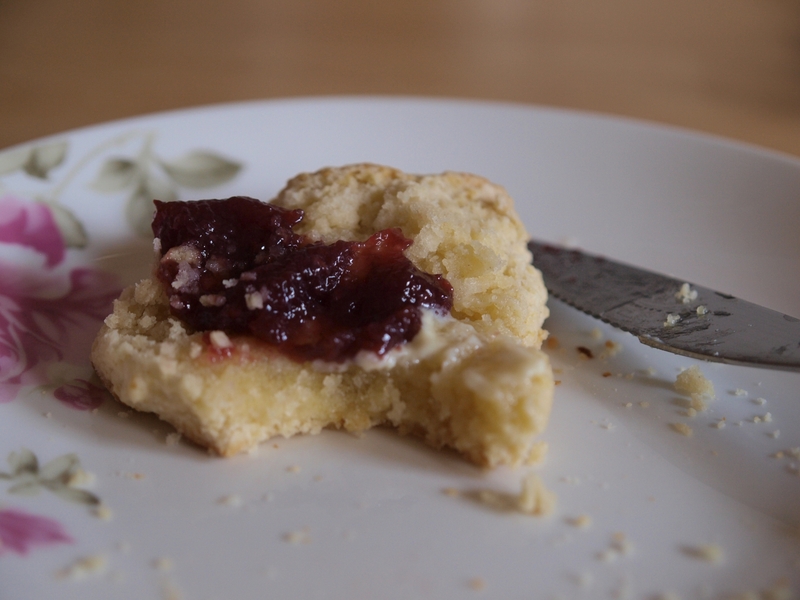 The dough should be crumbly and a little on the dry side but able to be pressed together when worked with your hands. If it is too dry and won’t come together add more cream. 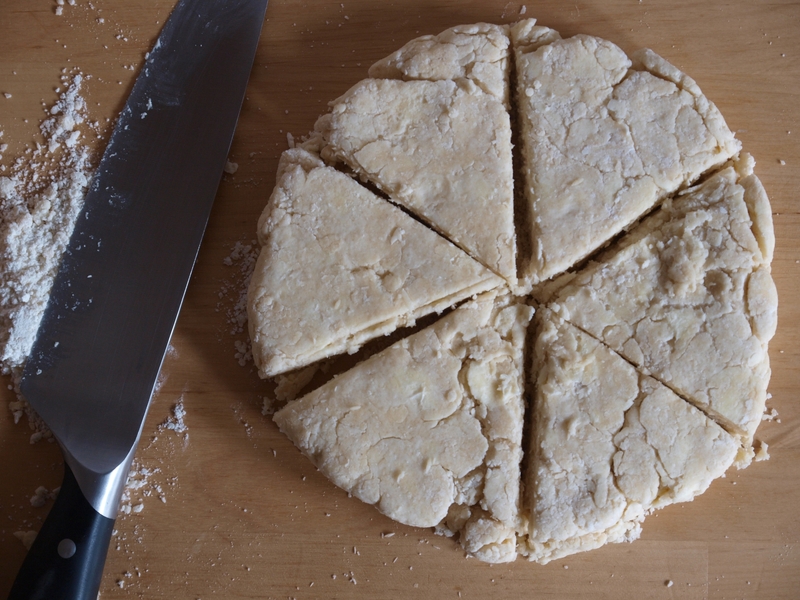 Turn the dough out onto a clean work surface and gently form a ball with your hands by pressing the dough together and flattening it into a disc. Don’t overwork the dough by kneading it or rolling it too much! Cut the disc into equal sized wedges and place on a prepared baking sheet that’s lined with baking paper or has been buttered and floured. 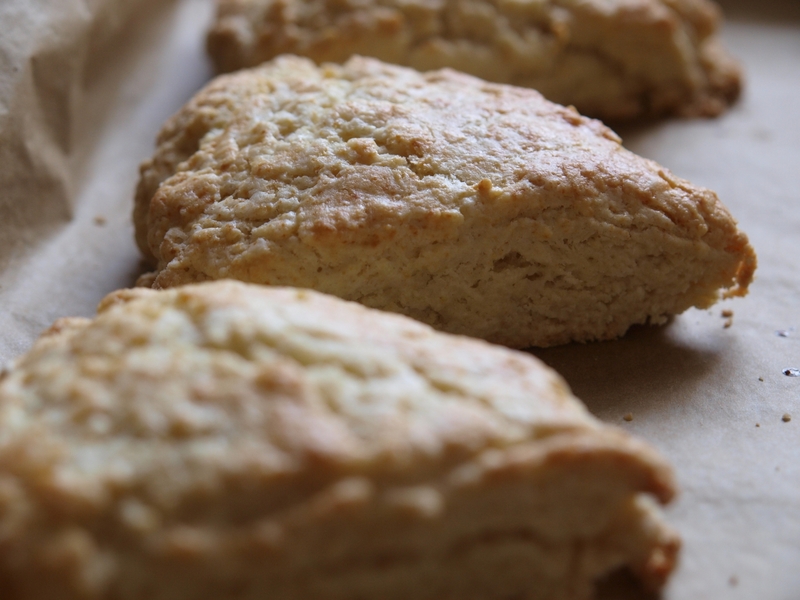 Brush the tops of the scones with heavy cream or milk and bake for 15 minutes or until the tops are golden brown. Serve immediately for best flavor or store in an airtight container for up to a couple of days. Enjoy!